Guests snacked on Mexica delicacies prepared by Cielito Lindo, were serenaded by mariachi, and chatted with students with the hope of winning a popular pupusa raffle. (Guests were entered into a raffle each time they chatting with an Upward Scholars student.) The event culminated in speeches from six inspring Upward Scholars students, starting with students just entering the program and ending with Moises Bautista, the first Upward Scholars student to graduate from university. Videos of those speeches will be available soon. 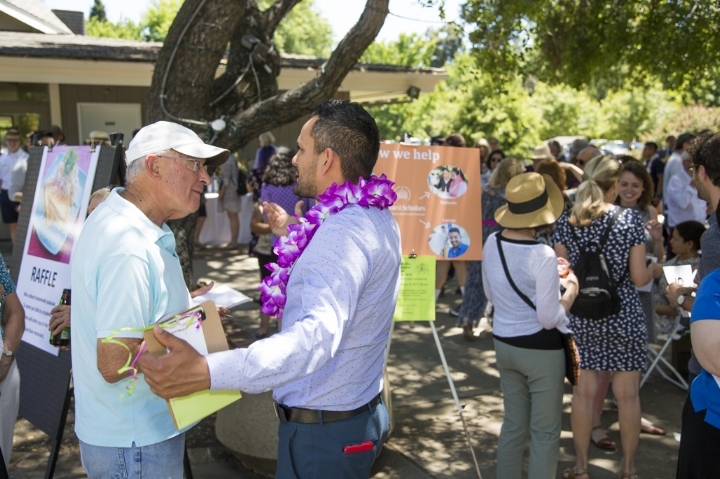 This year was the first time that we recruited event sponsors and were thrilled to sign up nine businesses and organizations whose generosity more than covered event costs.